57 is a composite number. 57 = 1 x 57 or 3 x 19. 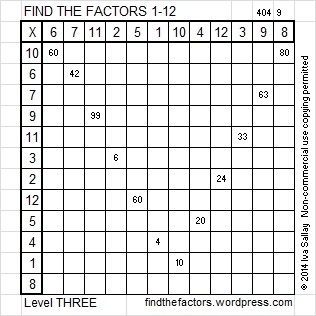 Factors of 57: 1, 3, 19, 57. Prime factorization: 57 = 3 x 19. 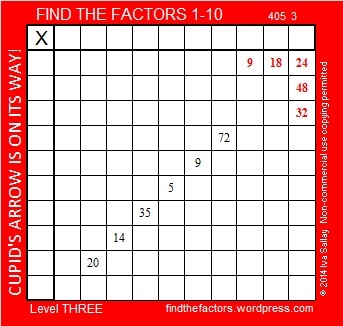 57 is never a clue in the FIND THE FACTORS puzzles. 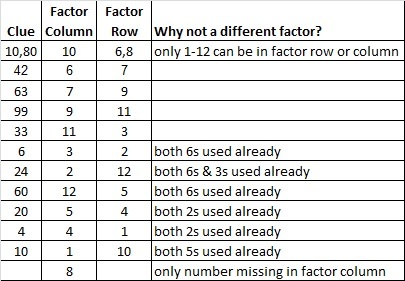 How do you feel about factoring? If you will let Cupid hit you with this arrow, you might just fall in love with factors. Factoring is very important in many levels of mathematics, so enjoying it can be a very good thing. I love factoring. I hope you will let Cupid’s arrow hit you so you will love factoring, too.